The State Bank of India is an India`s largest public sector bank and it has over 22,500 branches all over the India. The SME (Special Management Executives) appointed in specialized departments in SBI to supervise and oversee certain banking activities. As a consequence, the SME job profile would different based on the division, which they are nominative. Candidates age limit should be 25 – 35 years for S.No-1, between 25 – 40 years for S.No-2. 10 years for PWD (Gen) candidates admissible as per rules. Candidates should possess CA/ ICWA/ ACS/ MBA (Finance) or equivalent Post Graduation Degree in Finance with adequate experience. Candidates will be selected based on applicants performance in Online Test/ Group Discussion/ Interview, and final selection. The candidates will have to qualify both Online Test and GE & Interview separately to get selected in the SBI Special Management Executives Recruitment. 10. Take printout of online application for future use. The SME MMGS-II Grade paper will carry total 200 questions for the 150 marks. In which questions will be asked from General / Banking Awareness, Reasoning, Data Interpretation & Analysis, English and Financial Data Interpretation & Analysis. It is an online examination which carries all objective type questions. 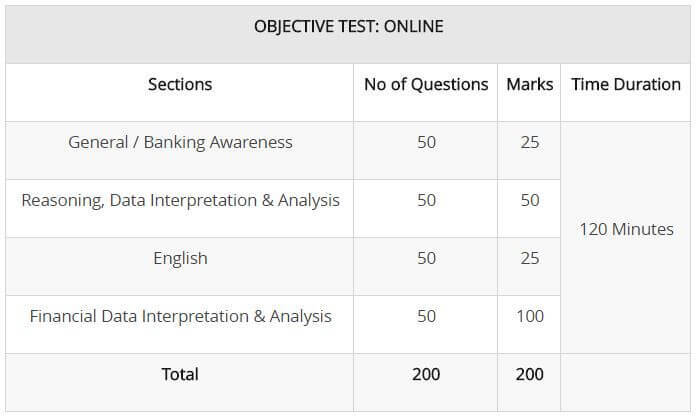 The SME MMGS-III Grade paper will carry total 200 questions for the 200 marks. In which questions will be asked from General / Banking Awareness, Reasoning, Data Interpretation & Analysis, English and Financial Data Interpretation & Analysis. It is online examinations which carry all objective type questions. The objective test’s marks of the qualified applicants will be arranged in descending order of merit list and applicants maximum 3 times of the number of vacancies in each category will be selected for the group exercise and/ or interview. The qualifying marks in group exercise and/ or Interview will be as decided by the bank. You will need to clear both sectional as well as overall cut offs in the Online Objective test to make it to the Group Exercise and Interview 2017. Based on your your marks, you will be called for Group Exercise and Interview. The marks scored by all candidates will be arranged in a list in descending order. Those of you having their marks within maximum 3 times the number of total vacancies (in each category) will be called for group exercise and interview. Banking and Finance, Currency System in India, Foreign Exchange Reserves, Financial Inclusion, Money Market, Money Market, Types of Bank A/C, Accounts for NRI/PIO, All About NPAs, ATM’s & WLA’s, Monetary Policy of India etc. Analogies, Similarities & Differences, Spatial Orientation, Visualization, Analysis, Judgement, Problem Solving, Visual Memory, Decision making, Discrimination, Observation, Relationship Concepts, Verbal & Figure Classification, Arithmetic Reasoning, Arithmetical Number series, Non-Verbal Series, Coding & Decoding, Syllogism, Statement Conclusion etc. Circle Graph, Line Graph, Table Chart, Bar Graph, Cumulative Graph, Pie Chart, Data Based Questions, etc. India & its Neighbouring Countries, History of India, Culture, Geography, General Polity, Economic Scene, Scientific Research etc. Synonyms. Antonyms, Homonyms, Spelling Error, Comprehension, Preposition etc. Here we have given some important Tips and tricks for the preparation of SBI SME 2017 recruitment exam. Therefore, have look at the points mentioned below.